Easter is here, and if you’re like most families, you’ve been busy dying eggs, filling baskets and preparing for the arrival of the Easter Bunny. If you are tasked with assisting in the delivery of some of these candy-and-egg-laden baskets, make sure you keep them out of reach of your pets. Yes, I’m sure you’re careful about keeping chocolate away from your furry friends, but are you sure nothing in those baskets contain xylitol, the sugar substitute often found in sugar-free gum, candy, some baked goods, even peanut butter? Xylitol is toxic to dogs. Even the fake green or purple Easter grass overflowing the baskets can be hazardous. Cats love the long strands (puppies too! ), but if they ingest them, they can cause what’s called a linear foreign body, which can be deadly. And that beautiful Easter Lily centerpiece is also a danger. This plant, and related plants in the lily family, can cause kidney damage when ingested. But springtime hazards for your pets go far beyond Easter. People and pets are spending more time outside doing yardwork, planting flowers cleaning out garages, etc. 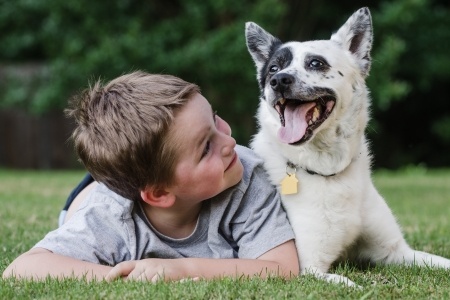 Don’t let your pet come in contact with lawn chemicals, fertilizers, antifreeze, or pesticides. Bone meal can also be toxic, as can cocoa mulches. When planning your spring planting, keep in mind not all plants are pet friendly. Here are a few of the ones to avoid. Azaleas are a common ornamental landscaping shrub. In addition to stomach upset and drooling, this plant can cause lack of coordination, paralysis and even death if your pet eats its leaves. Castor bean can burn your pet’s mouth, and its seeds can be fatal if swallowed. Lilies and daffodils are common this time of year, but they can be toxic to dogs and cats if ingested. Pets can experience vomiting and lethargy and eventually kidney failure. Grapes can cause lethargy, vomiting and possible kidney failure when a dog eats enough. Dieffenbachia can burn the inside of your dog’s mouth as well as make the esophagus swell, potentially blocking his or her airway. Lily of the Valley contains cardiac glycosides, which when eaten, can cause heart arrhythmias, as well as vomiting, diarrhea and seizures. And one more springtime danger. Mosquito season is approaching. Make sure your dog’s heartworm medication is up to date. If you need to get a refill or heartworm test, give Powell Veterinary Service a call at 970-352-9164.